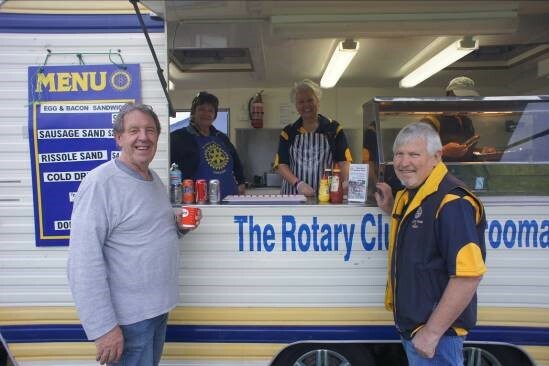 August 2015 – Narooma Rotary Club Inc. The markets were a great success despite a little rain. At last week’s meeting we discussed in the open forum the future of donuts and the way we make and clean up after. The system we are using has served us well for many, many, years and full review is long overdue. David has undertaken to put together a comprehensive safety audit, Laurelle is looking up our old safety audit, Mike Young gave a report from the insurance side of things and all added to the discussion. This review will be available at this week’s meeting. John Doyle, our newest member, gave us a potted history of his journey from Wagga Wagga to Narooma via Wollongong and Goulburn. 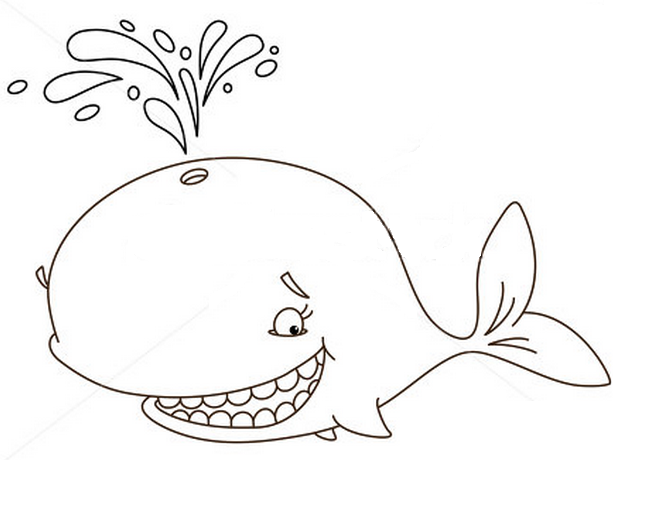 The Whale raffle is to be drawn next Saturday morning. If you have any tickets and money please bring them to this Weeks’s meeting. If you can spare a few minutes selling some during this week then contact Angie, she would appreciate the help. Thank you to John Rugen who took over from Merinda and I on Saturday morning in the main street and to Angie who hit Dalmeny Shops. This week we have a fascinating speaker, Andrew Seaton on education beyond schooling, handy as September is Focus on Basic Education and Literacy month. Radar is settling in well. 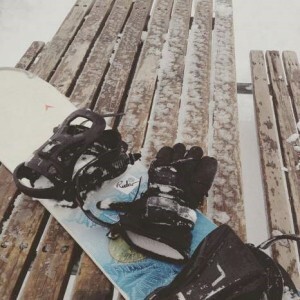 He went on the school snow trip this week and played in snow for the first time…. Came home tired but happy. Missed school the next day as we thought we might get flooded in and he slept in. 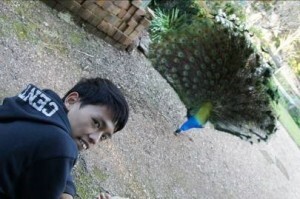 On Saturday we took him to friends who’s place backs on to the inlet and is full of Kangaroos and he got to meet Andrew Peacock. I’m very grateful to Angie for her work on the Whale raffle and to every one for your help in this worthy cause. Last update on Jack is that he is recovering well and when he gets home he will need a bit of support which we will all be able to give. Frank has been away but the work on the web site continues, please send him any club photo’s you take – soon you will be able to post them your selves. Have a great week and I’ll see you on Thursday. Don’t forget to let Anthony know if you cannot make the meeting or if you have guests by Tuesday. This helps with numbers for catering and if it is assumed you are going to be there and you are not then the club has to pay your meal and you need to pay back the club…… much easier to let Anthony know. Others to be decided on the night. We are blessed because we live in the most wonderful of locations, in a fantastic country and are not only able to witness great things but be part of them…… wow. 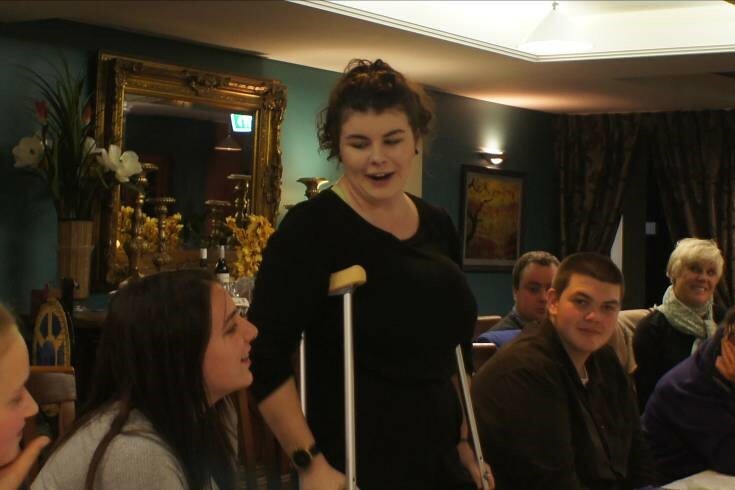 At last night’s meeting (20th August) a fantastic bunch of young people visited our club and gave us a glowing report on how their attendance at MUNA in Canberra challenged and changed them for the better. This did not just happen of its own accord! David and Rachael McInnes, Angie Ulrichsen and Michael O’Conner worked to lift their awareness of World events. 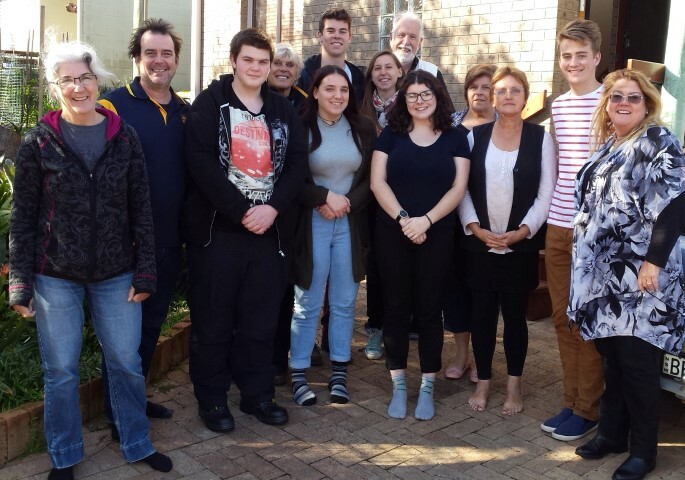 Together with Sue Fahey from the High School challenged them and then took them to Canberra to join with other students from the East Coast to debate the merits of various ideas as it relates to the country chosen for them. David, Rachael, Angie and Sue supported them through this weekend and on the other side four grateful teenagers gave glowing reports to us of not only a positive experience but one that they will remember and learn from for the rest of their lives. Radar, our exchange student from Taiwan was not only introduced to the club but gave a small outline of his journey but was able answer the many questions asked of him. We had a great night of youth, fun with the wheel and a positive outcome for all. We were able to acknowledge David, Rachel and Angie for their enormous contribution to this worthy project, thank you. “I through open the shutters and words feel upon these lines” said Leonard Cohen and with Frank needing copy by Friday night I’d better hope for inspiration. It was with enormous pleasure that I was able to present to Rotarians David, Rachael and Angie a small token of our clubs appreciation of the work they put into the MUNA kids. It really has paid dividends, thank you. Next week or so we hope to make a presentation to Councilor Sue Fahey from the high school. This week’s markets are going to be a tight fit. With the markets, selling Whale watching raffle tickets setting up the ShelterBox I wish to acknowledge all who have put up their hands to help. This coming week we are having a board meeting followed by a club assembly. If you have any suggestions, gripes etc this will be the time to bring it up. 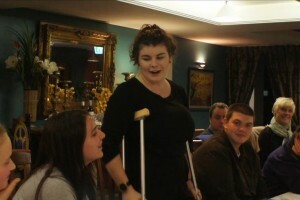 Last night (Wednesday 19th) I attended Moruya Rotary first for a Presidents meeting then the club meeting. Some great ideas were discussed and more will be reveled next week. Please check out the new web site and contact Frank with any photo’s or interesting articles that you may come across. JACK is back in Moruya Hospital after his quick trip to Canberra. 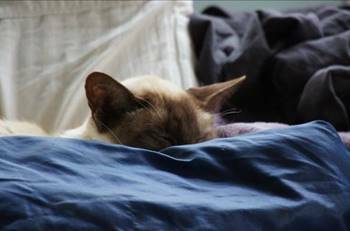 He was peacefully sleeping on my last visit, a good sign. The human brain is a wonderful thing. It starts working the moment you are born and never stops until you stand up to make a speech. 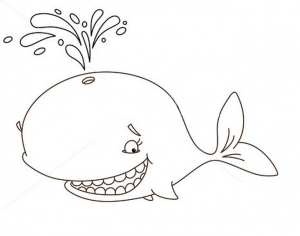 Its soooo easy to sell tickets with the whales already out there and excitement building. Prize will be drawn 12:30 Sat 5 Sept at our sponsor, Narooma Charters base, town wharf..
Bring your money and tickets to the meeting next Thursday ! Money realised will buy a shelterbox – so a win/win for everyone. A lot of business managers get confused about assets and liabilities. Mistakenly they seem to put the core of the business, their workers into the liabilities side and not think of them as assets. In a volunteer organisation like Rotary we know that our members are not only our assets but they are double assets. Their service is also an important asset to the community, locally, nationally and internationally. 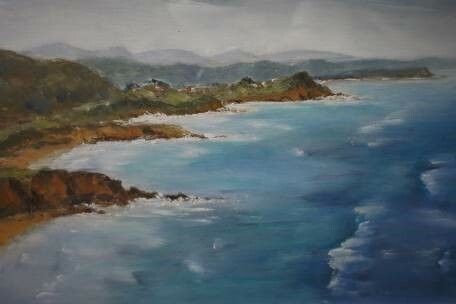 One of the best examples of a “Service above self” asset can be found in Narooma on the NSW far South Coast. 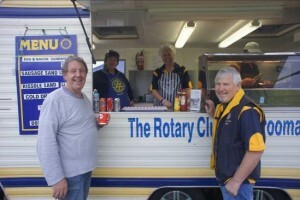 George Barker has been with Narooma Rotary since it was founded in 1958. George’s list of Rotary achievements are long and distinguished. Served as a director, secretary, President (1963-64) ,Youth, Club, community and international service , vice President to name a few. Helped with the establishment of Rotary Park, Scout hall, and Narooma Sport and Recreation Centre, and bird Avery at the Illawarra Retirement Trust construction , establishment of the Rotary Ringlands Walk (bushwalking track). As well as the Rotary work George has been involved in local Rugby League a devoted husband and father and managed to run a successful business. Due to failing health George has been unable to attend our regular Thursday night meetings so on August 13th we changed our meeting to lunch time. The gathering of current club members was complimented by past presidents and their wives and wives of past members. George, at the 11th hour, had to miss the lunch due to ill health but was certainly with us in spirit. In the future we will hold another lunch meeting and maybe George will be able to make it but we were all inspired by his achievements and it was also a good chance to catch up with past Rotarians and our friends of Rotary who we don’t see often enough. Presidents, look after your assets. Radar arrived last weekend and is settling in very well. 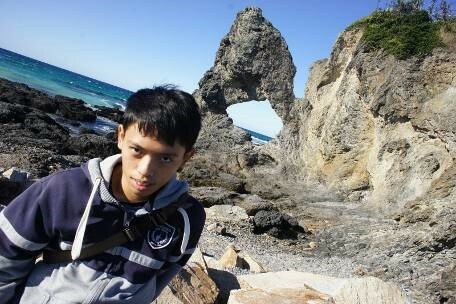 This week you’ll get to meet him and I’m sure all will like and warm to our new friend from Taiwan. He started School on Tuesday and has already found a new friend in Ki – Orit’s son. I won’t say much more as you’ll find out all about him on Thursday. Overview: Monsoon rains, along with the impact of Cyclone Komen, which hit recently, has caused flooding and mudslides in all but two states in Myanmar (this same weather pattern is also affecting neighbouring Bangladesh). More than a million people are thought to have been affected by the floods, with thousands displaced. The team is currently carrying out assessments in the affected areas and liaising with various aid agencies about the possibility of working in partnership. Stay tuned. As I write this, Saturday afternoon, I’m about to go out for diner via the Fisho Club to find out what plans Oyster Festival organiser Orit has on offer for our club for the next festival, stay tuned. Thank you to all who came to George’s lunch. Unfortunately George was unable to join us but still he was with us in thought. After the lunch Rolfe and I delivered the wonderful painting and flowers to his home and presented them to Anne (George was resting) . My thank you again to John and Mike for organizing the painting. This morning Frank and Iris were setting up in the main street to sell tickets to our Whale watching raffle while Angie, David and Rachael were in Canberra with the MUNA kids. Thank you to every one for your wonderful support. DON’T FORGET IF YOU CAN SPARE AN HOUR SELLING RAFFLE TICKETS – SEE THE SCHEDULE , CONTACT ANGIE AND DO IT. This year the bush fire season in our region has the potential to concern all involved in our emergency services. In the event of an emergency, the NSW State Emergency Management Plan will swing into full operation. The front line of defense will move in with highly trained personnel and during this time many members of the community may be evacuated to varied locations in town, where they will be housed, assessed, clothed, fed etc. It is here where you will find volunteers from Anglicare Disaster Recovery Services. As a community partner working under the direction of the Department of Justice with organisations such as the Salvation Army, Australian Red Cross, the Anglicare volunteers assist where they are needed. On Saturday the 15th of August John and Lesley Mordike led a meeting of the Narooma volunteers to update them on the latest operational matters. 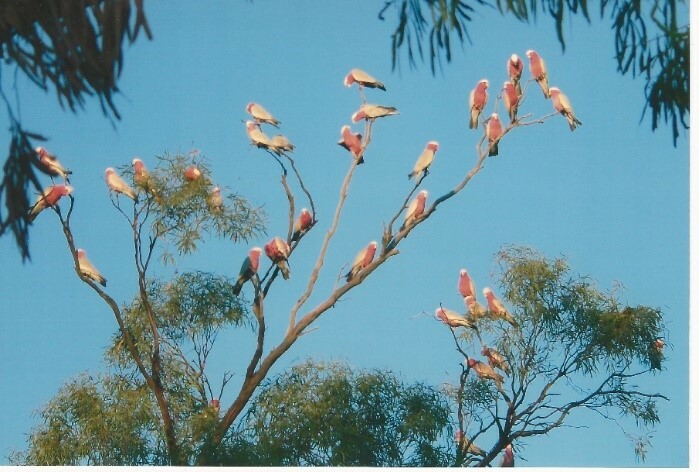 The members meet about every three months for an hour or so. This role is ideal for someone who would like offer their assistance to the community in an emergency, but due to health or time constraints are to unable to be involved in a front line service organisation. For further information call John or Lesley Mordike 44764739. Ang has organised times with the council when WE can sell the tickets for the great Whale Watching raffle to raise $$$ for ShelterBox. Please advise her as to when YOU can spare an hour and sell, sell sell. Card table + chair + Whale Poster are @ Ang’s garage – 10 Old Hwy, Narooma. Just return them when you are done. So, please choose a date and let Ang know as soon as possible – Council can allocate unused times to other organisations. Bob was seen Saturday morning flagging down motorists on “the Flat”. Speaking to them sternly, he was overheard to say that Radar thought they were going too fast, but no fine was payable provided they bought a ticket in the Whale Raffle ! 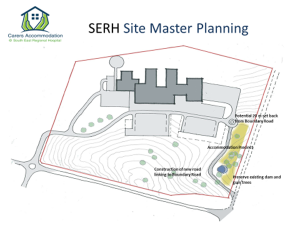 The most disappointing part of the construction of the long overdue Bega district Hospital is the fact that accommodation for guests has not been factored into the design. Not only the lack of regular public transport from the feeder towns and the “roo” factor for early morning and night travel leave patients with little option but expensive motel bills. This has been a problem for many years and through the great insight and community spirit of many in the Bega area the way forward in affordable, localised accommodation is becoming a reality. 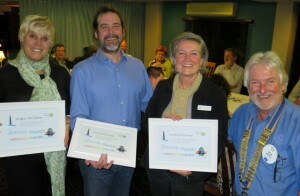 Bega Rotary members Charlie and Leonie Blomfield were our guest speakers on Thursday night to update us on CCASE – Community Carers Accommodation South East. Charlie is on the committee and through a brilliant slide show gave a detailed outline of the plan for affordable accommodation right next to the new Hospital. Bega community is well under way with fund raising for something few of them will use, but all see this as an essential need. 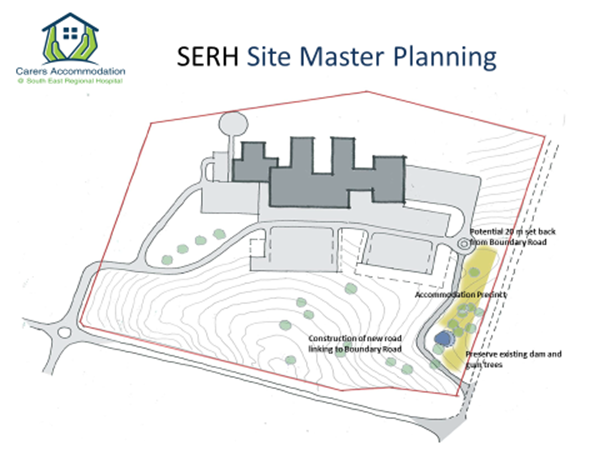 The Eurobodalla Shire is in the feeder zone for the New Hospital and we all need to take some ownership of this project, which over the long term will cost more than 2 million dollars. I’m sure as this project progresses will see more money from and input from the Eurobodalla community. Our thanks to Charlie and Leonie Blomfield for coming to us and they are available to talk to clubs and groups about this worthy cause. Charlie can be reached at email ceblomfield@ozemail.com.au. What a great meeting on Thursday night. It was fantastic to induct John Doyle who takes our number to 20. John will be a great asset to the club, thank you to Chris O’Brien for introducing John and to Sandra (John’s wife) for supporting him and us. It was my pleasure to thank Charlie Blomfield for his talk on the CCASE accommodation and in doing so hand over a cheque for $500 on behalf of our club. It is a small amount in the scheme of things but every bit helps and thank you to all our members and the board for making this possible, I’m sure more will come. Don’t forget next week is a lunch time meeting at the Whale 12 for 12.30 to allow founding member George Barker to attend a meeting, as he hasn’t been able to go out at night. This is a first for the club and Mat and Jen at the Whale offered the service to us out of respect for George and through their wonderful commitment to Narooma Rotary. Please let Anthony know numbers by Tuesday and bring friends and stories of George if you have some. Normal $25 applies, this has been especially put on for us so please give it the best support you can. Frank has started putting together the new website, looks fantastic and easy to navigate. This will replace Club Runner which has served us well but as it is in US dollars it puts a cost impost on us that, for a charity, we don’t need. Thank you Frank and everyone send him some photo’s that you think might be worthy. Well I’m off to Sydney to pick Radar up. The Typhoon has slowed or turned slightly and his plane is leaving early so he’ll be in tomorrow morning about 1 hour earlier. On again! The whales are out there – and the excitement is building. Money raised will buy some much needed ShelterBoxes. We have 1000 tickets to sell by the draw date Sat. 5 September. It’s easy and a WIN/WIN for all! The tickets are $2 each or 3 for $5 and the winner gets 2 adult whale watch vouchers with Narooma Charters and can choose to head out to view these magnificent creatures of our oceans any time between the draw and mid November. Please make every effort to sell your raffle books handed out last Thursday. There are still many more books left and we need you all on board. Ang will organise to get the ok from Council for Rotarians for rosters to sell tickets outside the IGA on the Flat and the Newsagents. 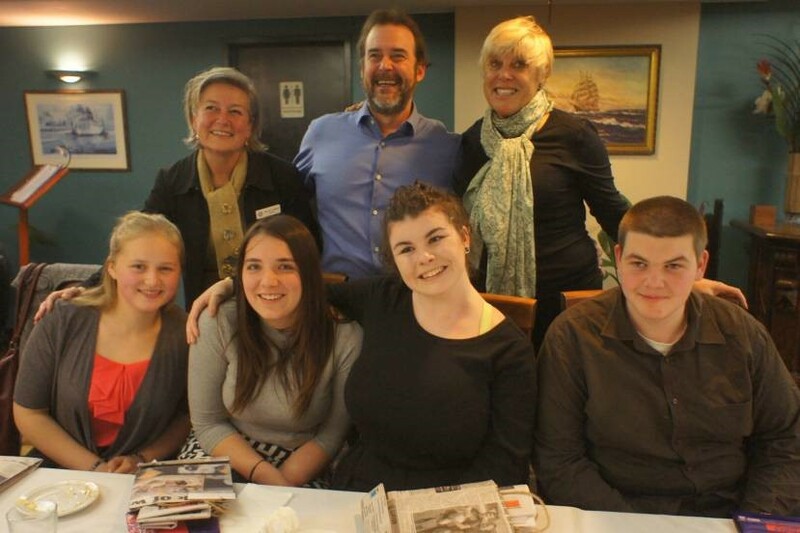 Several Narooma High students spent last Sunday in a workshop organised by Narooma Rotarians to help them prepare for an extraordinary experience. Tyler Holloran, Keely Clark, Paris Blessington and Sabine Kildea have been selected to take part in the Model United Nations Assembly (MUNA) in Canberra in August. ‘MUNA simulates the United Nations Assembly with teams from over 130 schools from the eastern states of Australia,’ said Narooma Rotarian David McInnes. MUNA is sponsored by the Australian National University and Rotary. ‘Over the MUNA weekend, the students debate various resolutions from their given country’s perspective,’ Mr McInnes said. ‘So they have to do a fair bit of research beforehand to familiarise themselves with their particular country’s history, politics, economics and particular stance on world affairs. ‘On Sunday we gathered together some people we know who are either former diplomats or former UAE residents to help our students gain some insight into the UAE, its world view, and life there. ‘It went really well. We had several work stations and as a result our students developed some understanding of global issues from the perspective of different nations. ‘They’ve now put together three resolution positions and practiced them. ‘They are the situation in the South China Sea, the protection of human rights and fundamental freedoms while countering terrorism, and efforts to eliminate all forms of violence against women and girls. ‘They’re also working towards a position on the coordination of taxation arrangements in the globalizing world, and the protection of global climate. Mr McInnes said their preparation continues today when they will meet the other Eurobodalla teams from Moruya, Batemans Bay and St Peters in a practice debate. Last year was the first time Narooma had fielded a team to MUNA. The experience proved such a challenging and rewarding experience for those students, the school was keen to field another team this year. At Sunday’s workshop to prepare Narooma High students for MUNA – Annmaree O’Keeffe (former Australian Ambassador to Nepal), front left, Rotarian David McInnes, Narooma High students Tyler Holloran, Keely Clark and Sabine Kildea, former diplomat Robin Scott-Charlton, Rhys Dobson and Leisa Hassock (both former UAE residents); Narooma Rotarian Angie Ulrichsen, back left, Liam Dobson and Brittany Mitro (both former UAE residents), Graham Jensen and Narooma High teacher Sue Fahey. Photo by Rachel McInnes. 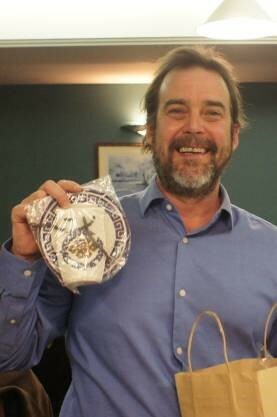 At the Thursday meeting, Peter Bull told those down our end of the table about his recent experiences with Facebook. He was told all about how good Facebook is, and how one can improve ones social life.But not ever owning a computer or smartphone, Peter was afraid of missing out. So now he walks down the street and tells passers-by what he has eaten, how he feels. what he did the night before and what he will do for the rest of the day. He also gives them pictures of his wife, his daughter, his dog and selfies while gardening and on holiday, spending time by the pool. He also listens to their conversations, telling them he ‘likes’ them and gives them his opinion on every subject that interests him… whether it interests them or not. He already has four people following him: two police officers, a social worker and a psychiatrist! Websites are important. They are the public face of an organisation. Our Clubrunner service was costing approx. $400 each year. This doesn’t sound too bad at first glance. But if each of the 34,000 clubs worldwide spends $400 on their website, that amounts to almost $14 million! It surprises me to find that each club is left to its own devices. There was an unsuccessful attempt in Australia to provide a service for clubs to use, I am not aware of the reasons for the failure of that exercise. However I firmly believe that some sort of service should be provided at either the District or country level. Domain name registration can be avoided if we use subdomains which cost nothing. 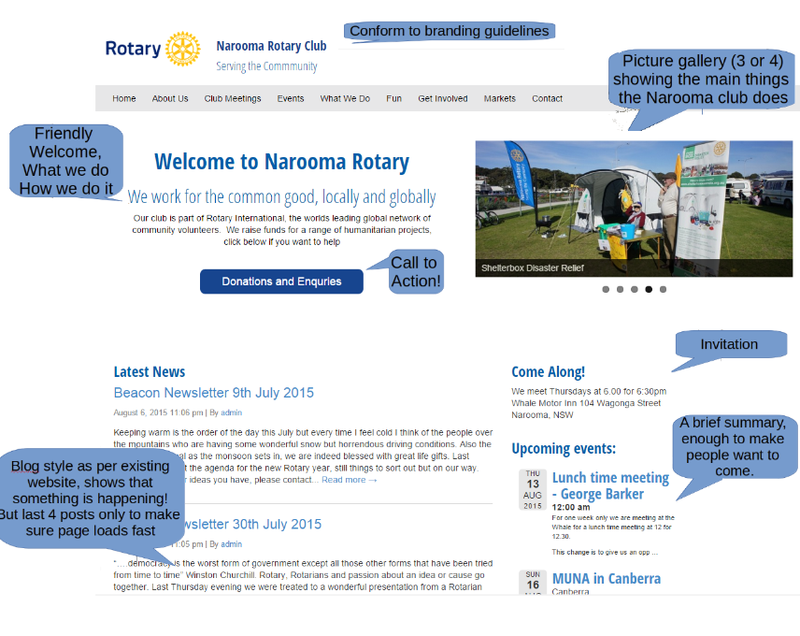 For example, if the South Pacific and Philippines Office would offer subdomains, we could have had narooma.rotary.org.au for free (notice the extra dot). Hosting services could also be provided by the South Pacific and Philippines Office at a reasonable price by doing a bulk deal with an ISP. Creating a new website should be as easy as cloning an existing clubs website and changing the text and the pictures, users and subscribers. Sadly, I was unable to find anything which ticked every box. Maintaining a website mainly involves club members updating content, and occasional software maintenance. In the absence of a central provider for Rotary websites, it falls back to each club to do its own thing – a time consuming activity that is surely a distraction from our main priorities. Our club now has a three year contract with VentraIp, an Australian service provider, for about an eighth of the cost of Clubrunner. They provide as part of their service, email accounts ( eg president@naroomarotary.org.au, bulletin@naroomarotary.org.au ), plenty of disk space, and access to WordPress, a free software alternative to what we currently use. The decision to use WordPress was heavily influenced by the fact that it is the most popular Web site content management software in the world, used by 5 million or more. The first step in using WordPress is to choose a “theme” of which there are hundreds available, so I first searched for what might be available already within the Rotary community. There are a couple of examples where clubs provide WordPress templates as a service to other clubs. The Bellevue Breakfast Club paid a lot of money to develop a WordPress theme from scratch, which they now make available. However it was done some years ago, and has a number of problems. I got in touch with them and they have no plans to fix those problems. Moreover it doesn’t conform to the Rotary branding guidelines. 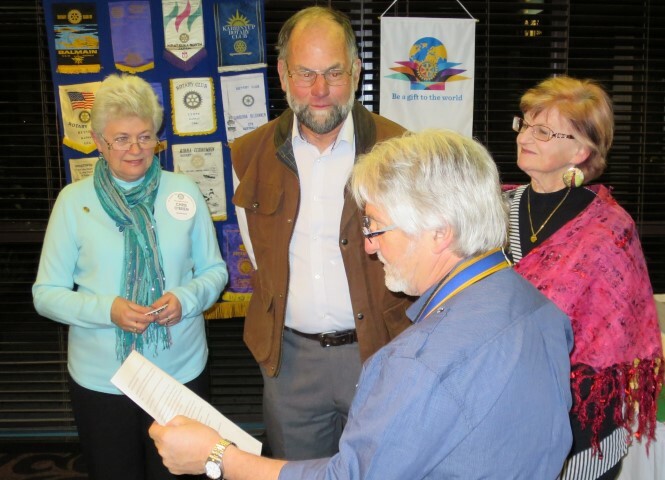 Another club that uses WordPress is rotarygungahlin.org . The www.danvillerotary.org website also uses WordPress and in my opinion they come close to matching the Rotary guidelines. The Rotary guidelines can be found in the document titled “Quick Start Guide For Club Websites”, which I can supply on request. to save money for other clubs each year. Now that the Board has given the green light, it is time to start the changeover process happening. We have a couple of months to finish the exercise, as our subscription to ClubRunner runs out in October. The new website is the same name but with .au appended, ie. The www bit at the front is optional and not encouraged. A website’s success depends heavily on the pictures and artwork it uses. The better the pictures, the more engaging the website is. Our existing website has a picture of the Inlet, I do not tire of looking at it. But Bob has pointed out that it doesn’t tell the story of who or what we are. So we need 3 or 4 pictures that tell that story. PLEASE if you have pictures at home, let me have them! Please look through your collection of pictures, and send them to me. The more we have to choose from the better. Our club supports a wide range of projects – it seems to me that we do not have a major project that defines us as a club, so the main page will show those 3 or 4 pictures, the ones we care most about. They change automatically every 3 or 4 seconds. Other pictures can go on other pages on the website. Another indicator of a good website is how active it is. The blog-style with weekly contributions is good. All other pages are a “first draft” – if you would like to contribute / edit / suggest any changes, please do so. Let me know so we can coordinate that. One nice enhancement is that events can go into your calendar as soon as you click on them – you won’t need to turn up at lunch time a week early Mike! An Archived Newsletters page will hold all of our old copies of the Bulletin. We can provide a place for committee material – constitution, minutes etc. I had in mind, when re-doing our website, the larger picture – other clubs face the same set of problems and costs we do. To make it as easy as possible for other clubs to use what we have done, I used a WordPress theme that is very popular, and was already fairly close to the Rotary guidelines. Customisations (Rotary colours etc) have been done outside of the main theme itself in what is known as a “child theme”, which makes software updates much easier. If we think that providing a service to other clubs is something worth pursuing, I will document the process and volunteer to work with other clubs. To make this of benefit to us as well, we could ask for a donation in the first year, equal to what they currently pay. The sign at Rotary Park has been moved to a clearer location and members are encouraged to check it out and Jack (who has done all the hard work on this) has ask for input on ideas about design etc. The Defibrillator project is on hold for another month while we await news on Rotary grant. The board gave the go ahead to Frank to work on the new web site. While the current one, Club Runner, has some great features it is very expensive and as a charity better if we keep our costs down. Frank is looking for input and assistance. 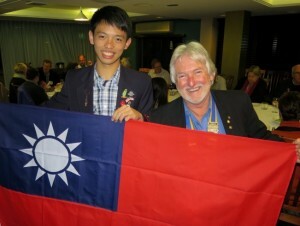 Lots of photos are required of Rotary activities within the club. He also needs physical help in putting it all together. Rod Walker was appointed Secretary and public officer, Lynda Ord and Peter Hartley Directors. John Doyle was approved for membership. Next week is a partners night, partners are welcome every night. A huge thank you for John Rungen for again running the Bowel Care program and Anthony and other chemists for stocking and promoting the kits. This year saw more units sold. Thank you to all the board members and most of all thank you to Jack. Jack has been working tirelessly with many hats for years and now is easing back. This was Jack’s last board meeting as the main organiser and we, as a club, will be forever grateful for his hard work, professionalism and organizational skills, honed over many years in the army. Lewis Ives was unsuccessful for the NYSF however he gained valuable skills and Lynda is organizing for him to go to Honeywell. Last week Merinda and I attended Fergus Thomson funeral at Broulee. Fergus was the first popularly elected Mayor and a good family man, farmer and friend to all. To his family we extend our thoughts for healing.